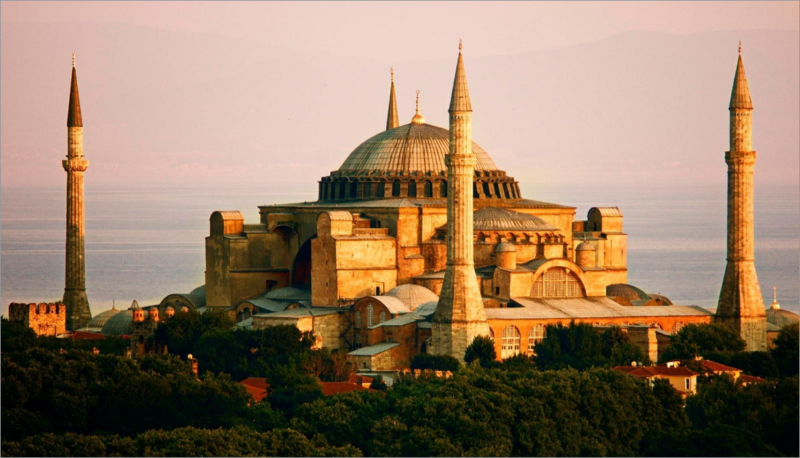 A grand icon of Istanbul, Turkey Hagia Sophia was once a church, then a mosque and now a museum. One building that is being used for two different religions and many different purposes is always a matter of amusement for the historians of the past. Even today the tourists who visit the museum Hagia Sophia are bound to get astonished with the story it enfolds and the artwork it encompasses. The size, functionality and the massiveness of the structure are unique and one of its kind. With a huge historical importance and being built and renovated many times, Hagia Sophia stands still, firm and intact since the time of its construction which is 537 AD. 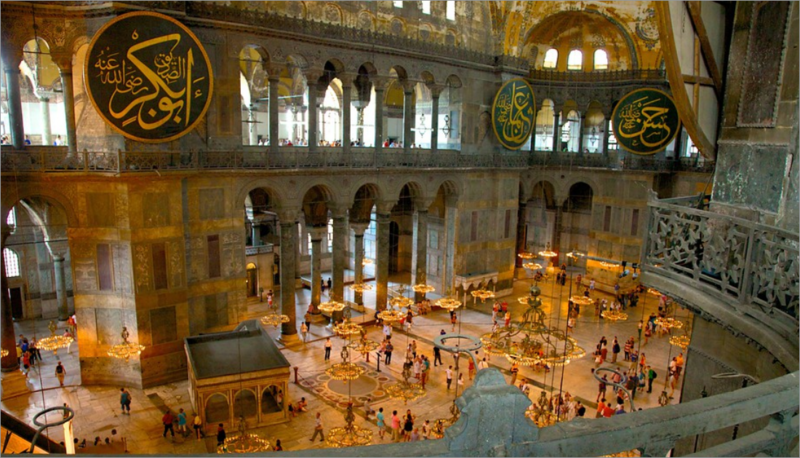 Let’s take a ride on some of the interesting and mind blowing facts about Hagia Sophia. 1. 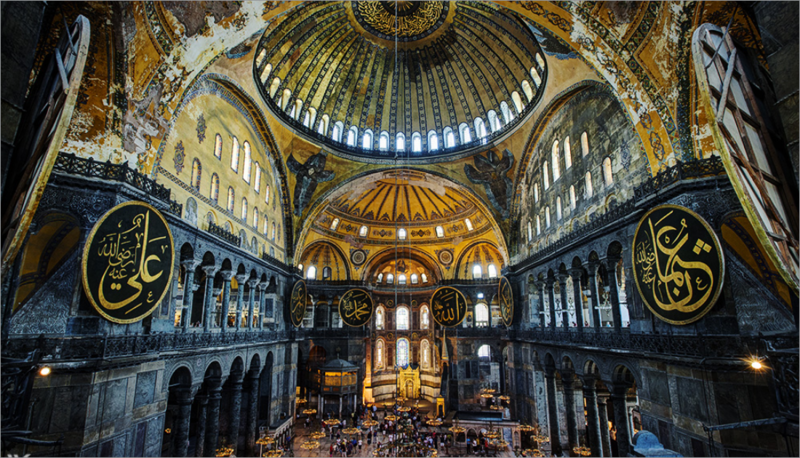 Hagia Sophia with the meaning as holy wisdom is a doomed monument built in the 6th century to serve as a cathedral. It was formerly named as Megale Ekklesia which means a big church. Anthemios (Tralles) and Isidoros (Miletus) are considered as the main architects that planned the church under the order of Emperor Justinianos during 527-565 AD. The amazing fact is the two main architects had 100 architects under them who further had 100 labors each working under them to accomplish the construction work. 2. For about 916 years it was used as a church until Istanbul came under the province of Emperor Fatih Sultan Mehmed who turned the church Hagia Sophia into a mosque. It then served as a mosque for about 482 years under the reign of the emperor and later his successors. 3. It took just six years to complete the huge structure since thousands of workers were employed to complete the toil. Top-notch quality of marbles was being used that were transported from different parts of the world. While the white marbles came from the Marmara Island, the green marbles were transported from Eğriboz Island. The pink marbles there were used in its construction came from Afyon and the yellow from North Africa. The columns that were included in Hagia Sophia were brought from the Temple of Artemis in Ephesus and from Egypt that supports the dome. 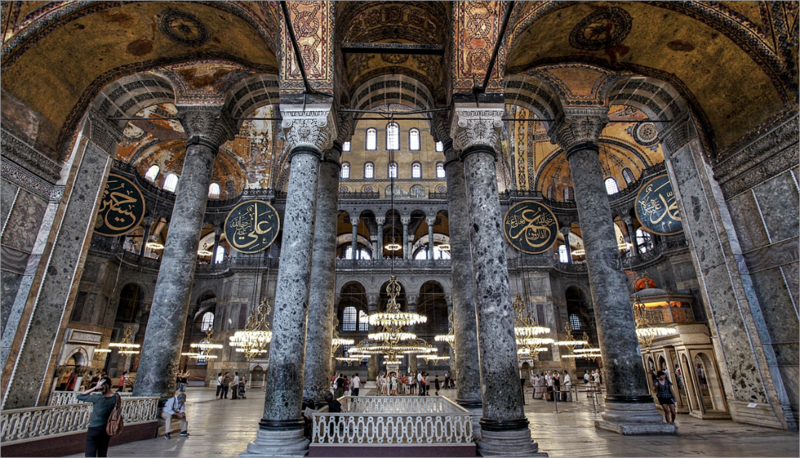 104 columns, 40 in the lower and 64 in the upper gallery completes the overall look of the building Hagia Sophia. 4. Later in the year 1934, the mosque was converted into a national museum after the Government of Turkey that is the first President of the country; Mustafa Kemal Ataturk secularized the building. The Turkish Council of Ministers reported the Hagia Sophia to become one architectural monument of the country that could serve to be one masterpiece for the entire human race. 5. In today’s date, numerous tourists visit Hagia Sophia every day making it one important monument of the country giving it one important place in the books of archaeologists and historians.